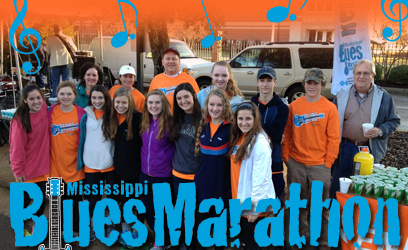 Members of JA’s Service Club and several staff members volunteered to man an aid station for the 7th annual Mississippi Blues Marathon. The students distributed water and Gatorade to the race participants. JA students have done this since the inception of this event that benefits the Mississippi Blues Commission’s Musicians Benevolent Fund.